Neiman Marcus is renown for selling High-Quality High-End products. They now also sell High-Quality High-End products which have been “Distressed” by the manufacturer. 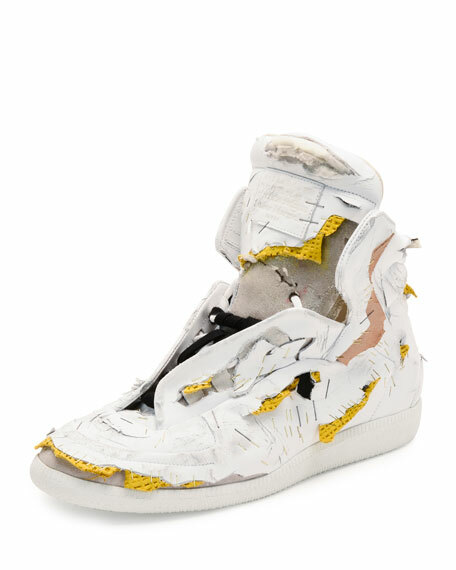 One example is the Maison MargielaFuture Destroyed High-Top Sneaker selling for $1425.00 USD. It seems strange at first glance to be able to buy pristine, not distressed products for hundreds of dollars less. Don’t forget that to be wearing things at the height of fashion does come a premium price.